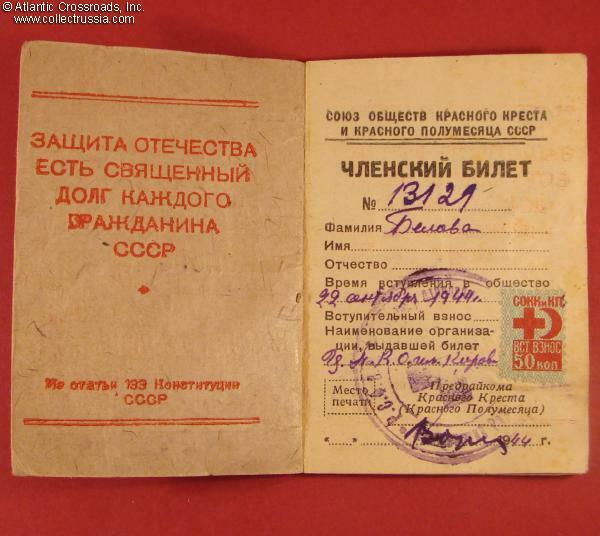 Red Cross Membership ID card, issued to Belova (a woman) on 22 September 1944. 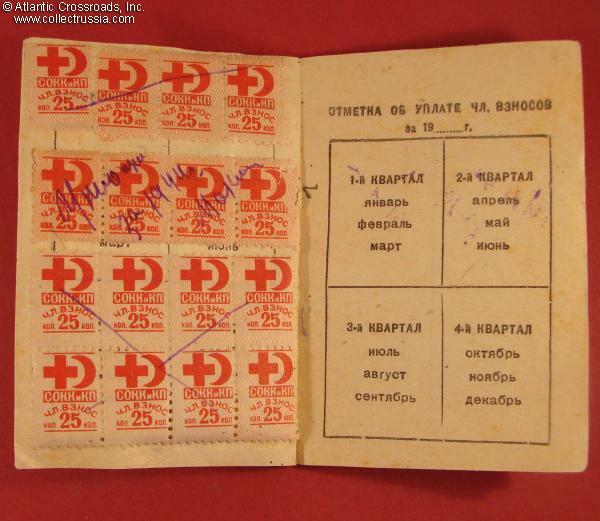 Red Cross Membership ID card, issued to Belova (a woman) on 22 September 1944. Note that only the last name of the owner is mentioned in the booklet. Printed on typical wartime, poor quality ersatz paper. 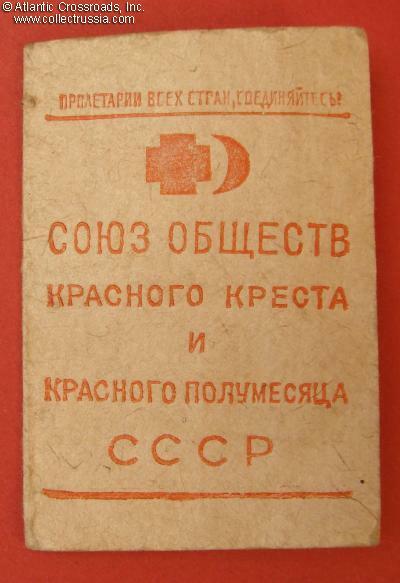 Contains membership due stamps for the year. In very good condition, very clean and essentially intact.